This is beautiful. I love the colors and it almost looks like felt. Or fuzzy. I love it. Five stars. 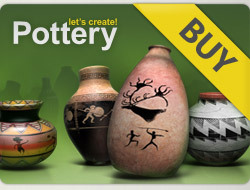 Five stars for 9 outstanding pots! You are so patient with color - amazing!